After few busy days in Edinburgh we have moved over to the west coast of Argyll. 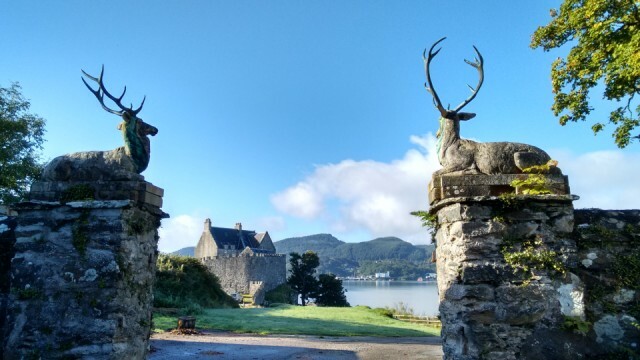 Our cottage is at this castle - apparently the stags on the gates inspired the gates at Bond's childhood home in Skyfall. we are incredibly lucky with the weather, the sun is out most days.